Start your course right now with PADI E Learning! Just click on the corresponding banner below, and begin your adventure today! 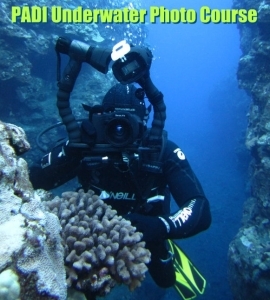 PADI is now offering their Open Water class online. It’s a convenient, self-paced method to learn how to scuba dive. Here’s how it works. After you sign up for the class with PADI, you will start learning the important information to make diving safe and fun. We will stay in contact with you to answer questions while you complete the academic portion of the course online. You will need to purchase a start-up kit to finish the class. We can ship that to you. We will next help you select your personal diving equipment prior to the start of the diving sessions in the pool. Then we have convenient scheduling for your Open Water dives which will complete the certification process. After certification, we have a variety of trips and events where you can utilize your newly acquired diving skills. LET’S GET STARTED! CLICK BELOW! and then show up to at the dive site ready to go. and then complete the Knowledge Reviews. over them with you before the dives. Sign up for diving course now! You will be charged only deposit in amount shown below. Remaining balance need to be paid before first class.